Aromatherapy is an alternative therapy used to combat stress and promote a sense of well being in the individual upon which it is being used. Many of us feel stressed in our lives and as such find ways and means of reducing stress useful whatever they may be. Aromatherapy is one such therapy that allows for the individual to either experience the therapy under the supervision of a trained practitioner or carry out the practice at home or in surroundings of their own choice. 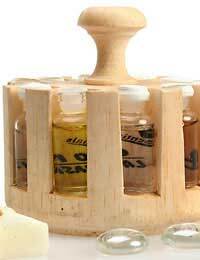 Aromatherapy uses what are called essential oils. These oils are found in nature, in particular in plants, and can be burned off, giving off a variety of different aromas – hence the name – which in term can stimulate a variety of different sensations.Inhaling these aromas into the lungs is believed to allow for physical and psychological relaxation as well as some physical benefit in the treatment of certain physical ailments. In addition to burning off these oils, some oils are applied directly to the skin to be allowed to soak through and into the bloodstream. This again is designed to promote of feeling of well being and also aid in the treatment of some physical ailments. Although it must be said that if you wish to have treatment using oils applied physically to the skin it is best to consult with an aromatherapist. If you wish to try aromatherapy for yourself it is worth remembering that there is a distinct difference between essential oils and fragranced oils. As the name would suggest fragranced oils have been altered with the addition of certain chemical compounds to give them an ‘aroma’ whilst essential oils when burned off or applied to the skin give off their own nature scent. Many of the oils available on the market for the general public to buy are often tainted with chemicals designed to give off an aroma that the oil may not have originally had. Again a qualified aromatherapist will be able to help point out the difference and will be able to tell you what oils are used for which condition. Many of these essential oils can be used in many different ways. For example not only can they were burned off but they can be added to boiling water and given off as a vapour; added to a hot bath or massaged into the skin given of course that the oil in question is fit for that particular purpose. Many sufferers of stress have reported that the use of essential oils has greatly reduced their stress levels and have also aided in returning to normal sleep patterns and general relaxation. Indeed many people using these essential oils do so under normal household conditions and have implemented them as ways of keeping a room smelling fresh, dispelling insects (the aroma may be pleasant to us but unpleasant to insects) and for helping with the reduction of unwanted odours such as pet smell. For the most part though aromatherapy is used as an alternative therapy and has become very popular and yielded many positive results. Often stress sufferers will also take these oils with them work to burn at their desk and many employers now actively encourage these kinds of alternative therapies as a means of reducing stress in their workforce. As with all alternative therapies however it is best to research them in detail before embarking on using them yourself but if you are happy that it is right for you and have sought out people who have used them to effect then they can be a welcome change to conventional medicine and in many instances a more pleasant option.